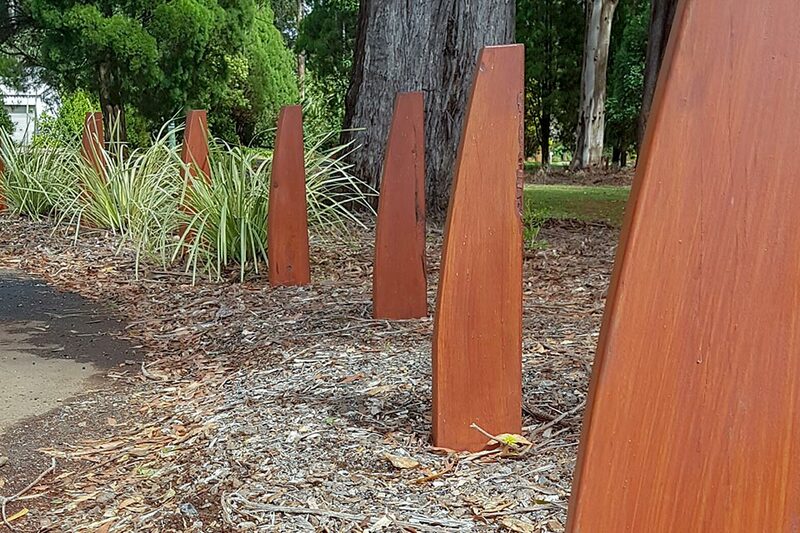 The Outdoor Structures Australia ‘Eclipse’ range of timber bollards use 190mm × 90mm dressed hardwood on galvanised posts (Double Eclipse). The ‘Double Eclipse’ shown above is constructed from two ex 200×100 pieces of spotted gum (nomally). The timber for this model only is pre-leached. Other custom bollard designs can be supplied to order where drawings supplied. 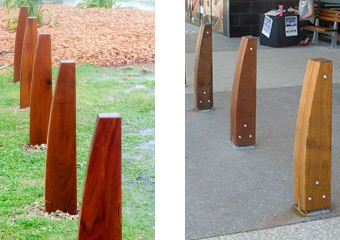 ‘Eclipse’ timber bollards (500 KB PDF brochure).